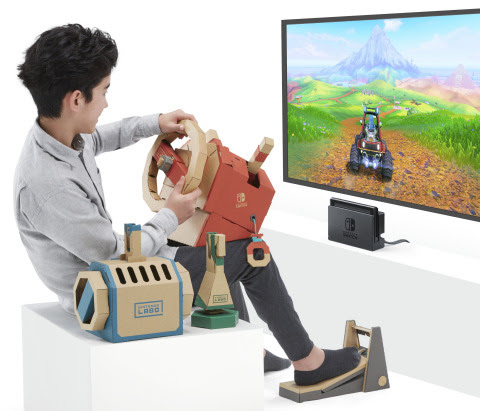 Nintendo has announced a new way to make, play and discover with the new Nintendo Labo: Vehicle Kit. The kit will be released on September 14. The new kit works with the Nintendo Switch to put you in the driver’s seat of a variety of vehicles. It contains all the materials you’ll need to build a customizable cardboard creations – or Toy-Cons – such as a Car, a Submarine, a Plane, a Pedal, two Keys, and more. Players can insert one of the assembled Keys into any of the vehicles to unlock games and activities. You can change vehicles on the fly by pulling the Key out of one and slotting it into another, for example to transform from an airplane pilot to a submarine captain. 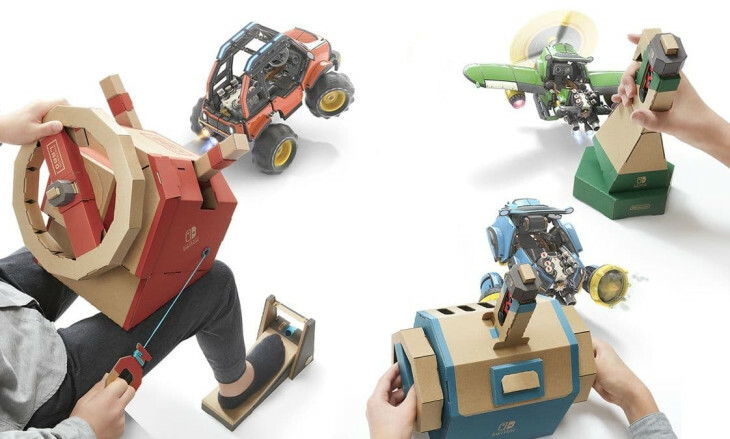 The Nintendo Labo first launched in April 2018, bringing new ways to play by combining the family-friendly fun of DIY creations with the technology of Nintendo Switch. With the Vehicle Kit, players will be able to speed through races, battle cars equipped with extendable arms, and explore a mysterious world. Each vehicle features its own controls and special moves, and with the second Key, players can even invite a co-pilot along for the ride. The immersive experience allows you to do things like pull the cord on the Car to pop a wheelie or push the button on the Submarine to launch a grappling hook. If you want to take the vehicle concept even further, there’s also a Toy-Con Garage to tempt you. This interactive programming tool comes with the Vehicle Kit. It’s visual interface is designed for players of all ages, encouraging experimentation with your Toy-Con creations. It also teaches you how to build your own ideas with household items, like paper cups, stickers and ribbon. You can buckle up for new adventures with the Nintendo Labo: Vehicle Kit from September 14. The kit can be pre-ordered from select retailers for a suggested retail price of $69.99. Which vehicle are you most looking forward to constructing? Let us know your thoughts on the Vehicle Kit in the comments section below.